There are many possible consequences for not stopping when a cop signals you to pull over. None of them are good. One possible consequence is that a high-speed chase ensues when you fail to stop after being signaled by a law enforcement officer. The risks here include losing control of your automobile and hurting yourself and/or someone else, including the police officer. It is quite possible that an innocent bystander gets in the way, and you cannot avoid hitting them. Now charges that may have been relatively minor, such as a traffic violation, are major. No person shall fail to comply with any lawful order or direction of any police officer invested with authority to direct, control, or regulate traffic. No person shall operate a motor vehicle so as willfully to elude or flee a police officer after receiving a visible or audible signal from a police officer to bring the person’s motor vehicle to a stop. If you are fleeing a police officer, and your actions cause harm to someone or something, or you even create a substantial risk without harming anyone, you could be charged with a third degree felony. Any other relevant factors indicating that the offender’s conduct is more serious than conduct normally constituting the offense. In addition to penalties for the felony violation, there is a mandatory class two driver’s license suspension, which is a three-year to life suspension. If this is a second fleeing and eluding offense, the suspension is a class one suspension, which means losing your driver’s license for life. 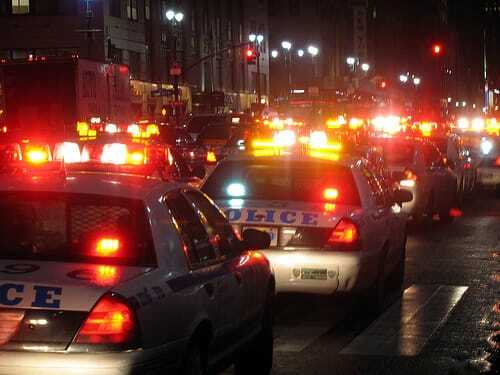 Do you need a criminal or traffic attorney in Columbus, Ohio? If you are facing a charge of failure to pull over for police in Columbus, Ohio, you need an attorney who knows the law and can help you mitigate the damage to your record and your future. Get the representation of a skilled and trusted attorney who can give you the help you need. The Maher Law Firm can help make sure that your rights are protected. Founding attorney, Colin Maher has in-depth knowledge and experience working with criminal and traffic cases and he will put his skills at your service. Call The Maher Law Firm today for a free consultation at 614-205-2208 or contact us online.